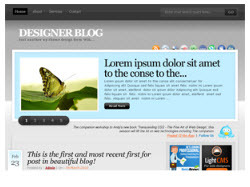 Neo_WDL is a free wordpress theme with Featured posts,125×125 ads,468×60 ads in header,contact form,threaded comments, multipage support,widget ready, Twitter updates and Social icons. 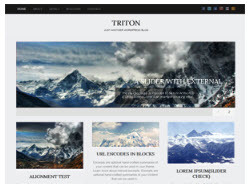 Triton is a free wordpress theme with awesome 3 fonts, 1 slider, 1 layout, 2 Patterns, 3 built-in widgets and 5 useful shortcodes.Easy to use theme options, 3 custom page template,Fancy lightbox,IE6 Browser Upgrade Alert. It is an illustrated landscape theme that comes in 4 different styles–day, night, autumn and winter–plus different sidebar arrangements and a narrow/wide column option.This is a best theme for personal websites and blogs. 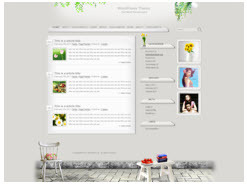 It is a free wordpress theme with sidebar widget,threaded-comments and external Stylesheet Edit. 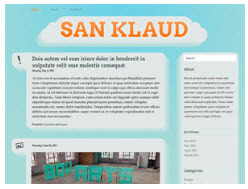 San Kloud is a free wordpress blogging theme focused on typography and content with several color schemes. 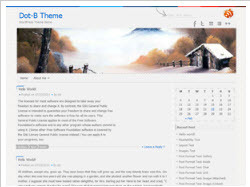 Dot-B is a simple and fresh looking theme with custom-background, custom-menu, drop-down menus, custom-header and widgets support. 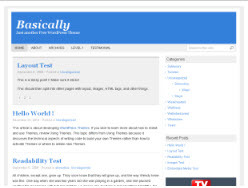 Basically is simple and clean free wordpress theme with custom menu, custom header background, custom body background, wordpress thumbnail, adsense spot ready, breadcrumbs ready and custom logo & favicon uploader,7 different color schemes.